In recent days General Motors has launched a series of attacks on the workers’ organization. 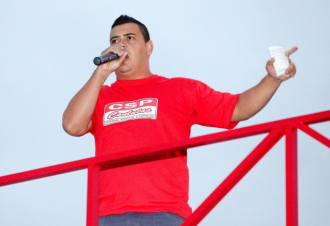 The trade union leader Célio Dias da Silva, member of the Leadership of the Metalworkers Trade Union of São José dos Campos and Region, affiliated to CSP-Conlutas, and the factory’s Safety Comittee member Serginho were arbitrarily dismissed on behalf of the General Motors. 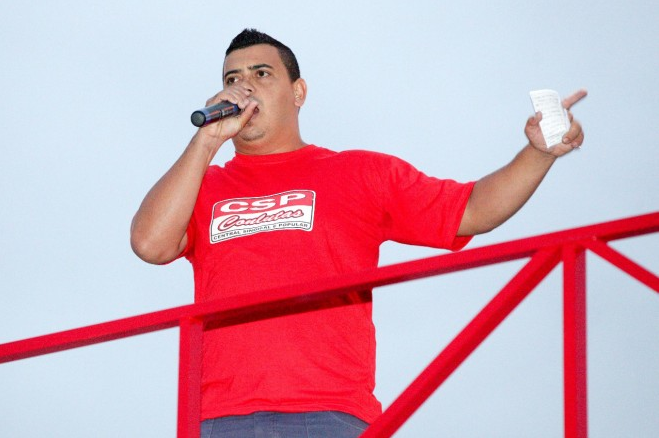 Besides that, General Motors also suspended from work for 15 days Alex da Silva Gomes, another leader of the Union. Theese attacks took place after two assemblies with the contract negotiation on the agenda and the mobilizations proposed by the movement Brazil Metalworkers, which unites workers of the entire country in the fight against the effects of the labor reform and the bill of unrestricted outsourcing. The authoritarian measure taken by the management of General Motors represents a serious attack to the right of freedom of association, thus it will be denounced nationally and internationally. Against the anti-trade unionist standing of the assembly company, a unitary mobilization of the workers and representative organizations is necessary to defend the freedom of association and the historical rights that are being violently threatened by businessmen and the government. Let’s fight back ! For the immediate reintegration of co-workers Celio, Serginho and Alex !